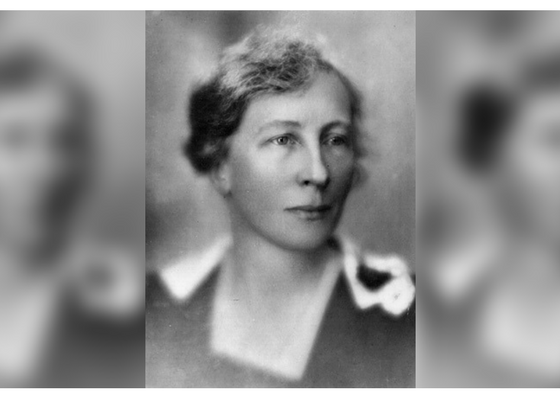 Psychological scientist Lillian Moller Gilbreth achieved an astounding number of ‘firsts.’ An expert in industrial psychology, she was the first woman to become full professor in engineering school at Purdue University in 1935 and she was the first woman elected to the National Academy of Engineering. She was also the first woman awarded the Hoover Award, bestowed jointly by five leading engineering organizations for “great, unselfish, non-technical services by engineers to humanity.” Gilbreth appeared on a US postage stamp in 1984, the first female psychologist to have this honor in the United States. Yet, despite Gilbreth’s many accomplishments, those who are familiar with her probably know her because of her role as a parent. She was the mother of 12 children, two of whom wrote about growing up in the Gilbreth home in Cheaper by the Dozen and its sequel, Belles on Their Toes. A hit in their time, the books have twice been made into major motion pictures. During her life, Gilbreth became a well-respected inventor and social psychology researchers, but a famous mother. Lillian Gilbreth’s life was truly movie-worthy. She was an eminent industrial psychologist, engineer, and inventor. And she was an early advocate of applied psychology, pioneering research in a number of fields that didn’t even have names when she started, including ergonomics, industrial/organizational psychology, and human factors engineering. She invented the shelves that sit inside refrigerator doors, an early electric mixer, and the foot-pedal trash can. Gilbreth relentlessly closed holes in efficiency design and, whether working in factories, schools, or kitchens, she always considered the human element of any environment. She conducted large focus tests, interviewing around 4000 women in order to optimize kitchen designs and countertop heights while working for General Electric. Gilbreth wasn’t just concerned with worker efficiency, she also wanted to know about worker stress and happiness. Gilbreth’s husband and partner Frank died when she was 46, leaving her to support and raise her 11 children on her own (one of her children was stillborn but the family always called the children ‘the dozen’). Even so, her accomplishments suggest that she needed no extra motivation to keep working. Lillian Evelyn Moller was born in Oakland, California in 1878, the oldest of 9 children. She had to persuade her father to let her attend college after doing well in high school. She received her bachelor’s degree from the University of California at Berkeley and became the first woman to speak at a University of California commencement. She eventually earned a PhD in psychology, publishing her dissertation, “The Psychology of Management,” as a manual for using psychological principles to increase industrial efficiency. She branched out into classroom efficiency with her second book, Some Aspects of Eliminating Waste in Teaching. She also co-authored a number of books with her husband Frank but was left uncredited as publishers believed that including a woman as an author would hurt the books’ credibility. At the time, Gilbreth was among the few practicing industrial psychologists with a doctorate; her husband hadn’t been to college. Lilian and Frank Gilbreth were early adopters of film as a tool for analyzing how workers performed their jobs. They would film manufacturing workers, then review the film with the workers over cigars and quiz them on how the work could be improved. They studied worker motivation, including money and job satisfaction. They also installed suggestion boxes for worker feedback and added regular breaks for workers to improve morale and productivity. Their films also helped the team improve hospital efficiency and make jobs and household tasks easier and more accessible for disabled workers. After Frank’s death in 1928, Lilian had to adjust her work schedule to be able to care for her children. She ran workshops out of her home, hosting managers from General Electric, Macy’s, and many other companies to improve workplaces and worker experience. She was one of the first efficiency experts to recognize and address fatigue and stress as detriments to productivity. She introduced regular breaks to many worker schedules and worked to dampen noise in the Macy’s money room, formerly deafening with coins running along pneumatic tubes, so that workers could do their jobs with less noise stress. This woman has always and forever been my heroine. She has been rather overlooked but, time to set this straight.